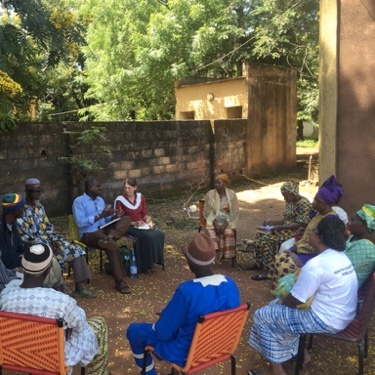 This Theory of Change was developed collaboratively by the IICRD team. It is designed to be dynamic, organic tool to reflect our values, focus, and programming areas. Our work is grounded in the United Nations Convention on the Rights of the Child, one of the most widely ratified human rights agreement in history. Placing children and child protection in the broader context of international development as both are significantly impacted and able to impact global change. 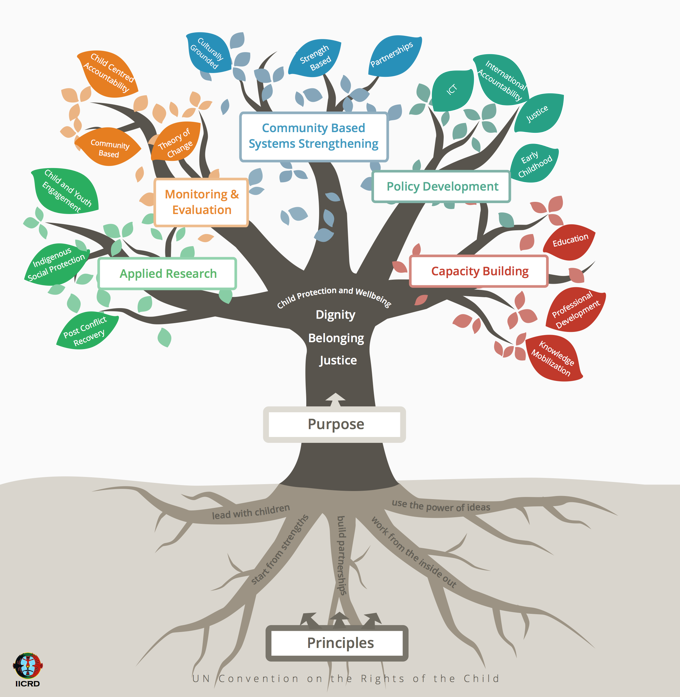 The 'branches' reflect our current core areas of work including: applied research, monitoring and evaluation, community based system strengthening, policy development and capacity building. The 'leaves' represent individual project examples of our efforts catalyze change, transformation, and healing for the most vulnerable young people in our society, in Canada and in over 45 countries around the world. Please note that our Theory of Change will be updated to reflect our next strategic plan - stay tuned! To give rights local meaning and catalyze positive change we use the following five principles to guide our work.